A Governor since 2013, Paul also serves as Chair of the Finance Committee. By profession he is chartered accountant and he heads up the Sheffield office of Grant Thornton. Paul is married with three children – one of whom, being a boy, is currently a Birkdale pupil. A practising Christian, Paul is Treasurer of Christ Church Fulwood, and he also serves as a volunteer leader on Gloddaeth Holidays which runs fun-packed activity holidays for pupils from independent schools, giving them the chance to explore the Christian faith and its relevance for today. Paul is also heavily involved in working for the benefit of Sheffield. 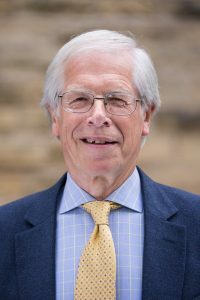 He recently finished a four year term as a private sector board member of the City Region’s Local Enterprise Partnership, and is now Vice-Chair of the City Growth Board and a member of both Sheffield City Partnership Board and the City Region Science and Innovation Board. He actively supports entrepreneurship and economic development in the digital sector and creative arts, and is therefore a board member of Yorkshire ArtSpace, which provides studio space for around 180 artists and makers in Sheffield city centre, and Chair of the Castlegate Partnership, which is seeking to bring collaborative regeneration for a dynamic future in that historic quarter of the city. Born in Beverley, East Yorkshire, Chris was educated locally before reading law at Coventry Polytechnic. His theological studies were undertaken at Ripon College, Cuddesdon in Oxford, Tamil Nadu Theological Seminary in South India and Heythrop College, University of London. He is currently undertaking doctoral studies at King’s College, London. 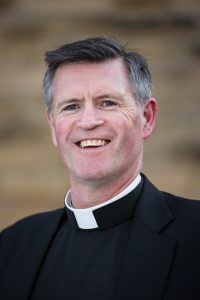 Chris was ordained in 1992 in York Minster and served initially as Assistant Curate in Nunthorpe and then as Vicar of South Bank, two contrasting parishes in Middlesbrough, before being appointed as Rector of Stepney in March 2002. 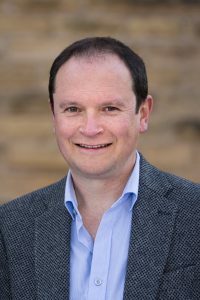 In 2010 he began a new post as Residentiary Canon for Learning and Development at Sheffield Cathedral with a particular focus on community and congregational growth, mission and catechesis. He has served on a wide variety of local charitable trusts and organizations. He was also a governor of the Sir John Cass Foundation, the largest educational charity in the City, and was a governor of three local schools one of which he chaired. He was a member of the Court of Sion College and was President until May 2010. He is a trustee of both USPG Anglicans in World Mission and the Mission to Seafarers. Chris is married to Helen, a local GP, and they have 2 young daughters. In his spare time Chris enjoys running and is also a keen traveller, especially to places far away from the tourist trails. Jeremy Dawson was born in Sheffield, and educated at Christ’s Hospital School in Sussex. 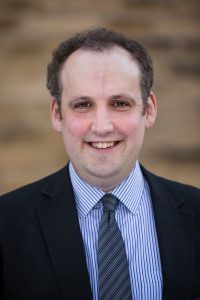 After gaining degrees in Mathematics (BSc, Durham University), Statistics (MSc, University of Sheffield) and Management (PhD, Aston University), he spent several years working as a statistician in different university research groups. 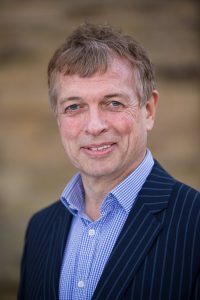 He is now Professor of Health Management at the University of Sheffield, where he works jointly across the Management School and the School of Health and Related Research, lecturing in statistics and conducting research into how NHS organisations can be better organised to lead to improved outcomes for both staff and patients. He is an active member of Sheffield Cathedral, where as a semi-professional musician he sings in the Cathedral Choir. Hobbies include being an Extreme Cellist, playing cricket, and watching Sheffield Wednesday. 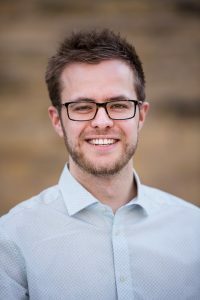 Born and bred in South Yorkshire, Matt is a former pupil and Head Boy of Birkdale Senior School and, before attending university, also worked as a Gap Year Student at the Prep School. He graduated from The University of Surrey as a Tonmeister and taught Music Technology at Eton College during his time in the South. Now living back in Sheffield, he is employed as the Music Coordinator at Christ Church Fulwood and also runs his own business, Resound Audio; specialising in recording, live sound and audio training. Matt is married to Stephi (also a former pupil of Birkdale and now a primary school teacher) and they enjoy music, scuba diving and exploring new places. As committed Christians, they are passionate about getting to know Jesus better and love spending time with God’s people. Graham was educated at Nottingham High School before studying medicine at Edinburgh University. After seven years working as a doctor, training as an Ear Nose & Throat surgeon, he changed career and has been a professional photographer since 2006 – currently specialising in fine-art landscape, portrait and interior photography. Graham and his wife Joanna have three boys, all of whom attend Birkdale School. His interests include tennis, golf (when time allows), walking and skiing. As practising Christians, Graham and his family are members of Christ Church Fulwood. 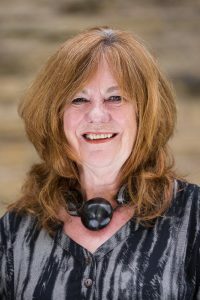 Born and educated in Sheffield, Ann is a Registered General Nurse with a specialist qualification in Community Nursing. She has several years experience of working in Oncology and until recently held a post in the Academic Unit of Oncology at Weston Park Hospital. Ann is currently Head of Therapy Services at Cavendish Cancer Care, a local charitable organisation. Ann is married with two children both of whom attended the sixth form at Birkdale. Hobbies include running and playing the clarinet. Ann is a Worship Leader at Christ Church, Stocksbridge. 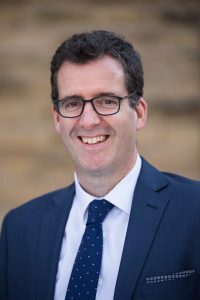 Educated at Ampleforth College and with a Law degree from London University, Andrew is a solicitor in Sheffield specialising in commercial law. His particular expertise is in resolving disputes, principally in the property and construction sectors. 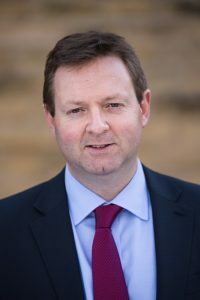 Andrew became a Governor in 2010 and is married, He has a son in the Senior School and one of his daughters attended the sixth form. His hobbies include golf and skiing. James, a former pupil of the School, is a Chartered Quantity Surveyor and MD of a construction company with 24 years in the industry and experience in a wide variety of project types. 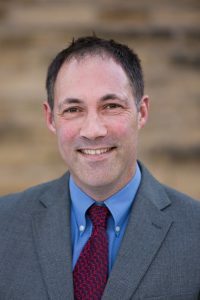 James was appointed a governor in 2009 and is a member of the Development Committee of the Board of Governors. He is married to Maria (a teacher) and all of their boys have been or are at the School. James’s hobbies are golf, skiing and supporting Sheffield United with his eldest son. 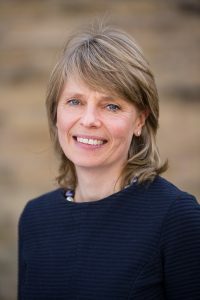 Angela Rees holds a senior academic post at Sheffield Hallam University. 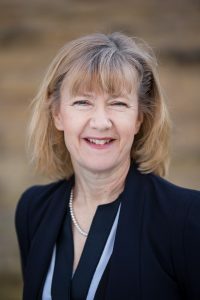 Her early career as a teacher led her into teacher education in which she has held senior leadership, management and external examining roles. Leadership and management consultancy have provided opportunities to work in Pakistan and South Africa. Her experience and expertise in collaborative provision UK and Overseas involve her in significant cross university activity. She became a governor at Birkdale School over 20 years ago, and her son was educated there. 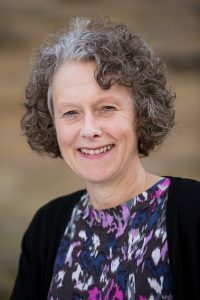 Angela is an active member of Sheffield Cathedral and sits on the Cathedral Community Council. Her hobbies include travel, walking, theatre and entertaining. I have been a governor at Birkdale since 2007, serve on the Development Committee and act as the governor for Health and Safety matters. I previously served for several years as a governor at Ecclesall C of E Junior School. I was educated at Harrow Weald Grammar School and gained my degrees in metallurgy at the University of Birmingham. I have always worked in the steel industry both in South Wales and Sheffield and specifically of late at Sheffield Forgemasters, where I have been both Technical and Operations Director of the steel foundry. Both my son Oliver and daughter Charlotte are former pupils of Birkdale. My daughter was one of the first girls to enter the 6th form and I at the time was a founder member of FOBS. I am a committed Christian and was a Church Warden at All Saints, Ecclesall. My other interests involve around most sports and actively play golf badly and still cling to memories of being British Universities and Welsh 400 metre hurdles champion and representing Wales in the British Commonwealth Games. Sarah Turner was appointed as a Governor in 2016. She was educated at Sheffield High School and Edinburgh university and is a chartered accountant by trade. She is married to Charles, a manufacturer of steel products and they have four children.The elder two boys have now left Birkdale and are going to Leeds and Newcastle universities. The youngest son is a current pupil and their daughter is at Sheffield High School. Sarah is a practising Christian and the family are members of Christ Church Fulwood, where she is involved in the preschool and children’s work. Sheffield born and bred, James has been a governor since 2003. He has a Maths degree from Cambridge, supplemented with an MBA from Cranfield and professional Marketing qualifications. With 20 years experience in Marketing and Senior management roles with Mars, Asda and Capital One, James provides particular expertise in Marketing and Strategy. Very happily married to Louise with 2 boys. A committed Christian, Trustee of Christ Church Central and coach at Sheffield Rugby Club. Interests include skiing, reading and photography. Kathryn Walker was educated at Eastbourne High School followed by Newnham College Cambridge where she read Natural Sciences. After her degree she moved to London where she worked in IT for a Lloyds Insurance broker in the City of London. She is married to Ian and they moved to Sheffield in 1992. They have four children and three have attended the School. They are all members of All Saints Ecclesall Church.